We would like to thank Paul Francis from the Airfield Research Group for contributing this report. This article mentions the following companies, Armstrong Whitworth Development Company Ltd, AW Hawksley, Hawker Siddeley Group, Hawker Siddeley Transport Ltd, Armstrong Siddeley (Brockworth) Ltd, British Nylon Spinners Ltd, Structural and Mechanical Development Engineers Ltd (SMD), Hawksley SMD Ltd, Templewood Hawksley Ltd, Templewood Hawksley Activated Sludge Ltd and Hawker Siddeley Industries Ltd. The firm of A W Hawksley Ltd originates from the inter-war period of consolidation within the British aircraft industry led by the Hawker Aircraft Ltd on 11 July 1935 when it formed a new company Hawker Siddeley Aircraft Co with the object to acquire through Armstrong Whitworth Development Company Ltd, the following subsidiaries: Armstrong Siddeley Motors Ltd, Sir WG Armstrong Whitworth Aircraft Ltd, AV Roe and Company Ltd, Gloster Aircraft Company Limited (GAL) and later, Air Training Services. In 1928 GAL had bought the aerodrome at Hucclecote which became a major centre of aircraft production in the UK. The company’s title is in fact a contraction of Armstrong Whitworth Hawker Siddeley. A large shadow factory at Brockworth adjacent to the aerodrome at Hucclecote was planned by the Government as part of the expansion of the aircraft industry before the war, and this was nearing completion on the outbreak of hostilities in 1939. The aircraft scheduled for production when it came into use was the Armstrong Whitworth Albemarle, which had been designed by Mr. J Lloyd and his team at Armstrong Whitworth, Coventry to Air Ministry Specification B.9/38 (later changed to B.18/38). The requirement was for a twin-engined bomber aircraft to use alternative materials in place of light alloy, as it was feared that overseas supplies of aluminium ingot might be interrupted by war, and that alternatives would become an urgent necessity. The aircraft was therefore designed in a mixed construction of aluminium alloy and timber, and was also planned for unit sub-contracting among companies outside the aircraft industry of the period. The pressure of events in 1940 caused the Gloucester shadow factory to be employed in the first case in repairs to Hurricanes and Gladiators, but in due course Hawker Siddeley set up a new company, AW Hawksley Limited in April 1940 as a separate subsidiary to run the Albemarle sub-contract programme and organise final assembly. Initially it had been planned also to have a second production centre at Yeadon, near Bradford. The Albemarle was delayed by modifications required after the prototypes had flown and the programme was reduced when the expected shortage of light alloy supplies did not materialize and it was decided to concentrate on four-engined bomber production. Nevertheless, some 602 aircraft were completed in the course of the war and were modified to suit various specialized requirements. The major versions that were used in operations were for glider towing and for carrying paratroopers, and these played a part in both the Sicilian landings and the operations at Arnhem. In addition, twelve aircraft were sent to Russia and a number of others were used for transport purposes from the UK to the Mediterranean area. • undercarriage (Automotive Products, Leamington). Note that General Aircraft Ltd (later absorbed by Blackburns) was the only sub-contractor with pre-war aircraft experience, but pulled out at a later stage and went over to glider production. One of the major ironies of this well thought out plan of de-centralizing production was that although the main assembly factory was never damaged by enemy bombing throughout the war, the sub-contractors suffered very heavily in the blitz and as a result component production was frequently seriously out of balance. Frederick Sage, another shop fitting firm were to have been a major sub-contractor on wing centre sections, but had their London premises entirely gutted by fire and the Rover Company’s factory at Coventry was similarly damaged, with production being completely re-started at Skipton, Yorkshire. In addition, the General Aircraft factory assembly line for front fuselages was destroyed by enemy action and this caused production to be transferred to MS Cars. HH Martyn’s factory at Cheltenham was heavily damaged in another bombing raid, and at a later stage, Bath Aircraft was completely burnt out in the ‘Baedecker Raid’ on Bath. When Short’s works at Rochester was heavily damaged by bombing in 1940 a number of partly finished Stirling bombers from their early production line were transferred to the Hawksley factory and were completed there but otherwise the factory was used throughout the rest of the war for Albemarle production. At the end of the war the Ministry of Aircraft Production requested that AW Hawksley switched production from aircraft to non-traditional houses. And in particular to that sponsored by the Aircraft Industries Research Organisation (AIROH) of 11 Upper Grosvenor Street, London, who organised an aluminium housing programme in conjunction with the Weston-Super-Mare factories of the Bristol Aeroplane company, two Vickers factories at Chester and Blackpool, and the Blackburn Aircraft Co at Dumbarton. AIROH designated the design of the house to Hiduminium Applications, which had been formed in 1942 by High Duty Alloys and Reynolds Tube Company for the development of aluminium alloy applications. Hiduminum Applications worked with AIROH technical Committee under the supervision of A Goldberg and the architect AF Hare. The provisional specification was submitted by AIROH to the patent office as 36884/46 on 13 December 1946 by Wilfred Greville Collins and Randolph Reginald Rhodes who were both working for AIROH. The AIROH house was known as the type B1 and B2, they were detached bungalows, constructed of a aluminium volumetric box, externally clad with painted aluminium sheeting, foamed slag concrete and an inner leaf of plasterboard. Between 1948 and 1950, AW Hawksley manufactured detached and semi-detached aluminium bungalows called BL8s, some 55,000 being supplied jointly by AW Hawksley and the Bristol Aeroplane Co, they were manufactured to the designs of Structural and Mechanical Development Engineers (SMD) of Slough. These were aluminium-framed externally clad with profiled aluminium sheeting and an inner leaf of plasterboard. According to the journal Flight (03-02-1949), the company was producing a complete house every 15 minutes of the working day and that since the war, the company had housed 17,000 families. 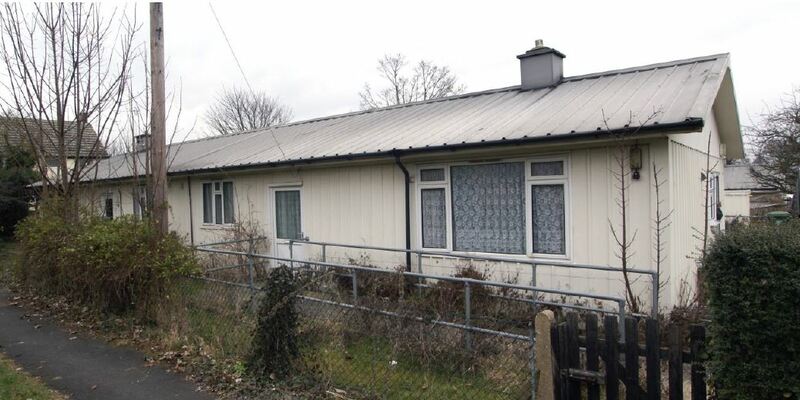 Around 1950 the company experimented with building two-storey aluminium houses but only two were ever manufactured (one of these at Brockworth). 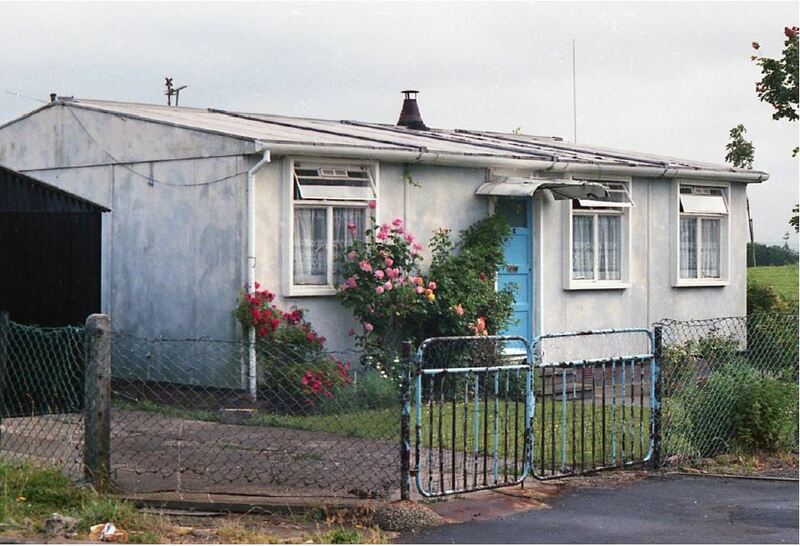 Between 1949 and c.1956, the company also manufactured reinforced concrete frames for 1,400 two-storey houses (terraced and semi-detached units) these were known as Hawksley Schindler prefabricated reinforced concrete (PRC) built with an external cladding of brick. They were based on the Schindler-Gohner system of house construction and are thought to have been built by Richard Costain Ltd. The load-bearing structure consisted of concrete pillars and reinforced concrete beams cast in-situ in the formwork. The factory-made parts of the house were the foamed plaster internal leaf of the exterior walls (out leaf was brick), foamed plaster partition walls, party walls, windows, doors and the roof. The roof was made in two and brought to the site by lorry. In 1948, the parent company name changed to the Hawker Siddeley Group Ltd (HS Group), emphasising the company’s aerospace and industrial concerns. By 1953, the group controlled a holding company called Armstrong Siddeley Development Co Ltd and this in turn controlled the aircraft interests, motor vehicle and compression ignition interests and the housing interests. 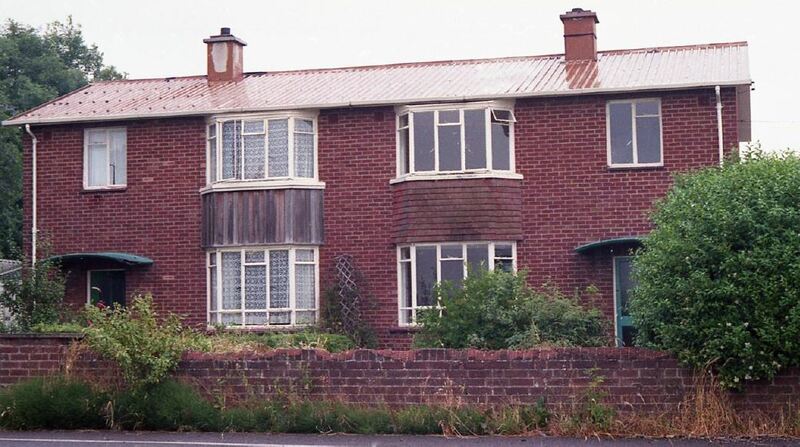 The housing interests included Hawksley Constructions, Brockworth Building Co Ltd and AW Hawksley Ltd. The shadow factory at Brockworth then partly returned to aircraft work at the time of the Korean war when part of it redeployed on the production of Sapphire and Avon jet engines for Armstrong Siddeley Motors – under a sub-contract agreement a new company was formed Armstrong Siddeley (Brockworth) Ltd, by January 1951 production of houses had reduced from 5,000 to 500 a year and on the strength of the aero-engine business, the number of employees increased from 1,500 to 5,000. At the end of that programme, the factory was sold in 1959 to British Nylon Spinners. At this point the Hawksley name disappears from Brockworth but reappears at Slough in various forms. Back in January 1940, British Nylon Spinners was registered as a limited company, to manufacture nylon fibre for making parachutes. The company was jointly owned by ICI and Courtaulds. After taking over the Brockworth factory, the firm produced Nylon 66, for tyres (amongst other products). In 1964 the two companies went their separate ways and ICI acquired Courtaulds share in British Nylon Spinners. The factory then changed its name to ICI Fibres, South-West Works, but is now the UK manufacturing plant of Invista Textiles (UK) Ltd, being part of the global firm of Invista, a company formed by Du-Pont in 2003, but then sold only one year later to Koch Industries. Meanwhile during 1955, HS Group acquired the Structural and Mechanical Development Engineers Ltd (SMD) company at Slough who manufactured the ‘Alframe’ permanent and temporary buildings out of aluminium alloy extrusions/. HS Group merged it with AW Hawksley to become Hawksley SMD Ltd. This company manufactured aluminium alloy cranes, aerial masts and aircraft hangars, with at least one being built at Thurleigh and another at Ansty. 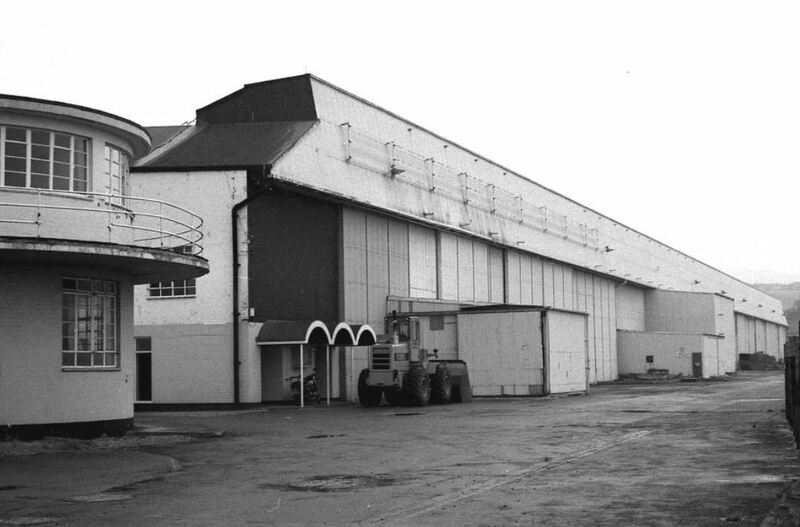 Perhaps the two most important products from this company was the first all-aluminium aircraft hangar ever built which was erected at Heathrow (1951) and the ‘Comet Hangar’ at Hatfield (Listed Grade 2) which was erected in 1953. The reorganisation of the Hawker Siddeley Group, meant that several of the HS Group owned firms at Slough were amalgamated. One of these mergers involved Templewood and Hawksley SMD which became Templewood Hawksley Ltd (dropping the SMD name), this company specialised in the design and manufacture of airline servicing units, formally a product of Air Service Training Ltd. After the 1963 reorganisation of the HS Group, another amalgamation, formed Norstel and Templewood Hawksley Ltd, based at 2 Buckingham Avenue, Slough, Bucks, the ‘new’ firm coming under a holding company (Hawker Siddeley Industries Ltd) which controlled all of the HS Group industrial power interests. The new company carried out aluminium structural work for the building and civil engineering trades, including sewage treatment machinery. In 1972, the company along with Templewood Hawksley Activated Sludge Ltd (formally Activated Sludge Ltd) were sold to Water Engineering Ltd, based in Adderbury near Banbury. This sale results in the Hawksley name disappearing for good. Water Engineering Ltd also acquired other HS Group companies – Hawker Siddeley Water Engineering and Neckar Water Engineering. Water Engineering Ltd is now owned by Environmental Dynamics Inc.